Germany’s Coal Commission wants the country to shut down its last coal power station in 2038. This is a suggestion reached after a long meeting which lasted into today’s early morning hours. While the commission was discussing the future of Germany’s coal, the lamps illuminating the room the members were sitting in were partially powered by coal energy. One third of the enormous amount of energy Germany needs for its residents, its industry and establishments of many kinds comes from coal power plants. Since the latter are dirty, they need to be scrapped. But that is easier said than done. The Coal Commission was appointed by the federal government in Berlin. Twenty-eight members from the industry, from unions, environmental associations and science are part of the panel. These origins already show in which directions the discussion was and still is going. It is about environmentalism, but also about jobs and alternative energy sources. According to the suggestions the commission came up with, the phasing out of coal energy should be accelerated if possible. The panel says, in the year 2032 the government should check whether it could be done by 2035, three years earlier. In that case, a new agreement with the operators of coal power plants should be struck, the commission members believe. Shutting down all coal power plants is one thing, paying for this endeavor another. But the Coal Commission covered that aspect too. The provinces affected, North Rhine-Westphalia, Brandenburg, Saxony and Saxony-Anhalt, are supposed to receive 40 billion Euro (45.6 billion U.S. Dollars or 34.55 billion GBP) from Berlin, over the course of 20 years. This is about the costs for dealing with the structural change the end of coal energy will lead to. In addition, the panel wants to preserve what is left of the ‘Hambacher Forst‘ forest, in which the energy giant RWE has been mining brown coal for 40 years. Recently, environmentalists have staged numerous protests in that area, and clashed with police. The long goodbye to coal will commence a lot earlier than 2038, if the commission gets its way. By 2022, part of the output, 12.5 gigawatts, are supposed to vanish from the German grid. All in all, coal power plants account for 45 gigawatts right now. Apart from dealing with alternatives and payments for thousands of coal workers, the consumers are supposed to be protected, meaning the panel which came up with these suggestions wants to make sure the goodbye to coal will not lead to yet another energy price hike. This aspect would cost Berlin another 2 billion Euro (2.28 billion U.S. Dollars or 1.73 billion GBP) per year, according to the experts involved. 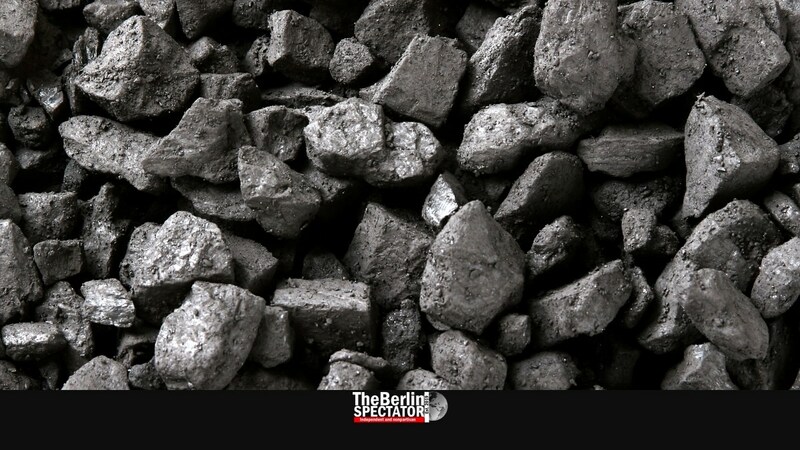 While the Coal Commission can only come up with suggestions, the government will have to decide. Berlin will have to take a number of decisions fast, by April of 2019, the commission says. A binding treaty is supposed to prevent future governments from messing up the decision to get rid of the coal for good. In the meantime, environmentalist organizations applauded the decision. At the same time they believe the long goodbye should be a lot shorter. On the other hand, Germany has to make sure there is enough energy, also because the country is also scrapping nuclear power. The last NPP will be shut down in 2022. For that reason, and in order to reach its climate targets, the percentage of green energy sources will have to skyrocket, starting right now. By 2050, Germany needs to reduce its carbon dioxide emissions substantially. By then, they are supposed to be up to 95 percent lower than they were in 1990.